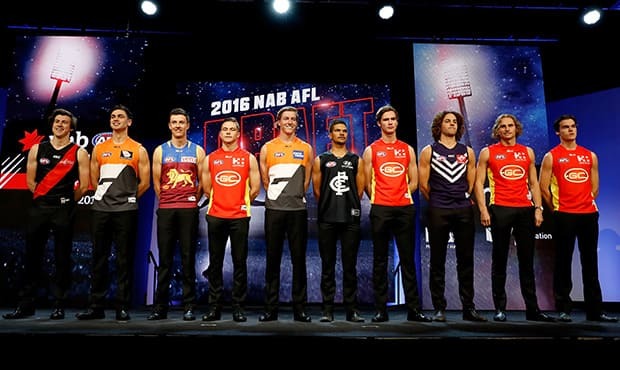 BELOW is the indicative order of selection for the 2017 NAB AFL Draft following the trade period. The draft will be held in Sydney on Friday, November 24. Each pick is given a points value as part of the AFL's bidding system for father-son and academy prospects. Note: Port Adelaide will not receive any compensation for the loss of Jackson Trengove, after later taking in Tom Rockliff and Steven Motlop as a free agents. * The Giants will lose their first pick as a result of the 1000-point penalty placed on them due to the Lachie Whitfield affair.